For Honor - emerging into a serious force in the affordable phone segment - that sees the new Honor 8X dressed in aluminium and glass, offering two rear cameras, a FullView display, and all at a price that's hard to ignore. At only 7.8mm thick, the Honor 8X strikes a lasting first impression. There's a full glass front and rear to the phone so it feels great quality. There are 15 layers of glass on the back to give it depth, so it's not just a flat colour. The Honor 8X will come in a range of colours - with the blue being the most striking and the black being a little more restrained (red is also available, but not in the UK). It's not just plain black, there's a slight colour variation creating a strip down the left-hand side, framing the logo and cameras, with a subtle two-tone finish. There's little that marks the 8X out as a phone that's less than £250: the only real hallmark of mid-range mediocrity is the Micro-USB connection on the bottom. That's right, the Honor 8X doesn't jump over to USB Type-C, the more recent standard for connections that has graced new devices, instead keeping the previous-generation hardware. A sensible layout sees positive action on the buttons on the right, while the single speaker and 3.5mm headphone socket sit on the bottom. That speaker is also a weakness - it's just a bit lacking when you turn the volume up. Pushing the edges of the handset, Honor uses 2.5D glass for a nice curve at the edges and reduces the bottom bezel to 4.25mm. The result is a lot more screen on your phone than you would have got in previous years. Honor sticks to a 1080p display, which is nice and sharp, capable of showing plenty of detail. You can set this display to "smart" mode to automatically adjust the resolution to increase battery life. It's an LCD panel and there are some tuning options, but it's not as accomplished as higher-spec Honor devices. The "normal" colourscape looks a little pinkish, which is resolved by selecting "vivid" (the out-of-the-box default) which gives you cleaner whites. But there is a weakness in contrast overall: highlights can get blown out compared to better devices, and no amount of tweaking seems to improve this. Take, for example, a game like PUBG Mobile. Some of the lighter colours - like a grey t-shirt - don't have the textures they perhaps should; Pokemon Go doesn't have the richness in colour that it should. If you're a wearer of polarised sunglasses you'll also find that the polarising filter is linear - so when you view the phone in landscape it dims - which would be a problem taking photos on a beach in the sun, because you then can't see anything on the display. Overall, the Honor 8X display looks great in the right conditions, but it's drifted a long way from the best out there. Arguably, on a device in this price bracket, we can accept some compromises, but put the 8X alongside some of the recent Nokia devices and this Honor doesn't look so brave. Where the Honor 8X really differs from some of the other devices that Honor has released in 2018 is in the hardware. While the Honor 10 and the Honor Play sit on the Kirin 970 - a 10nm platform - the Honor 8X sits on the Kirin 710, a 12nm platform. What does this really mean? It means that the Honor 8X is using older hardware, which isn't as powerful or as efficient. That's reflected in the pricing of this phone - while the Honor Play sits close to flagship territory in terms of performance, the Honor 8X is a step down. In reality, that won't have a huge impact on daily tasks and when compared to a Snapdragon 600-series device - like the rival Nokia 7 Plus - then there isn't a huge performance difference. Day-to-day tasks are fast and smooth, lacking the snap and immediacy of the very top devices, but for most it's perfectly adequate. When it comes to gaming there's a bit more of a hit. While you can play some great mobile games - and there's Honor's GPU Turbo feature to give the performance a boost - this phone doesn't have the grunt of a flagship. The result is that games might not run at the top settings (sticking with PUBG Mobile as an example) and the battery drain is increased, because that hardware has to work harder. If gaming is key, then it might be worth stretching the budget a little to get the Honor Play - because it's a little better suited to more demanding tasks. With all that said, however, at this price you have a phone that can do everything, so you're not missing out on anything that Android offers. Huawei - parent of the Honor brand - is getting a reputation for stuffing big batteries into things and the Honor 8X is no exception with a 3750mAh battery. Getting close to 2 days from the Honor 8X is commonplace - the Micro-USB remaining the about the only gripe we have about the battery. There's a lot of software optimisation designed to help with battery life - something that EMUI (Huawei's Android skin) has offered for some time - aiming to kill apps that are eating the battery and so on. There are also clever options, like that the Wi-Fi hotspot will power off if nothing is connected to it after a time period, so it's not draining the battery. EMUI has been through a lot of changes recently, moving from a very aggressive Android skin, to something that's a lot more refined. As Huawei - and subsequently Honor - has grown on the world stage, so too has EMUI adapted its suitability to task. There's still a complete reworking of Android in EMUI 8.2 that the phone launches with (running on Android 8.1 Oreo) so there's barely a page you'll find that's the same as the Google original. But this being Android it's easy to replace the pre-installed apps with those that are familiar and with Google making vast improvements to its native Android apps, it's worth making some of those changes for a better overall experience. Google Assistant is part of the package - and runs exactly as you'd expect it to - but the EMUI launcher will also give you Google Feed at a swipe - just like the Pixel launcher. That makes it easy to swipe into Google to check stories aggregated for your interest. If you don't want it, you can turn it off in the settings. Another feature that's worth hunting out is the control for the navigation keys at the bottom of the page. They don't auto-hide - you have to turn the option on under settings > system > system navigation. You can then customise those bottom buttons so you can hide them when you want to - which might improve the typing experience for you. Much of this phone is about the experience of EMUI, however, and with Nokia now offering pure Android phones around the same prices, this is one point of comparison to consider. Honor seems to be on a mission to add a dual camera to all of its phones. There's a main 20-megapixel camera with a second 2-megapixel camera. The second lens doesn't add any features like zoom or wide angle, instead has the dubious honour of supporting the primary lens with more data. Does it actually do anything? To be honest, we feel it's more of a spec sheet check point than an essential part of this phone. The camera app is fully loaded with features, along with AI which will offer 22 different scenes and adjust the settings for the best results. This is a mode that needs to be toggled on, but comes with the advantage of letting you view the photo with or without the AI adaptation - so it's not actually changing the image that's captured, just applying AI tweaks after the fact. There are some interesting options, like the ability to manually adjust the "aperture" effect, basically changing the depth of field blur effect - as lauded by Apple at the launch of the iPhone XS - but in place on this phone that's a quarter of the price. Then there's night mode which Huawei has been really clever with, sharing this across the family of phones. It uses AI to pull together images from a longer exposure (up to 7 seconds) and you can see it "developing" in front of you. It's actually very good compared to the normal blurry long exposures that other phones offer - and it's certainly worth moving to the night mode in dark conditions, as regular low light photo performance isn't great. Feed the Honor 8X good conditions and you'll get good photos. HDR doesn't seem to fox the Honor 8X with a good balance in images and we've had some good results from it. The front-facing camera gives you 16-megapixels of glory. It can give you plenty of detail in good light in the regular photo mode. In low light the front flash works well, but inbetween conditions - low light - you really need to use the "always on" illumination, or the camera won't fire the flash and you'll get a dull selfie. Switching to portrait, you have beauty mode to step around as well as the ubiquitous faukeh - or fake bokeh - which can be toggled on or off. In low light, portrait becomes a bit of dog and you're better off without it. Video is offered up to 1080p - there's no 4K here - and there's no video stabilisation either, so you need to keep things steady. The Honor 8X offers you a lot of phone for your money, disrupting the mid-range segment and pulling the price down even lower. There are some great elements here - an attractive design that takes advantage of the notch to give you lots of display - and it's a big display. There's ample power for this price point and although the display technically isn't the best, it's a display we could live with. The camera also puts in a strong showing for itself; the second lens might not really sell itself, but some of the AI technology - like the night mode - have a real impact. So of the software is a little irksome and unnecessary and we're still drawn to the purity of Android One over EMUI's heavy reworking, but if you can stomach the old school bloatware, it's not a bad experience. Aside from the Micro-USB, there's lots of convenience here - 3.5mm headphone, NFC for payments, a decent fingerprint scanner. Then there's battery life that will get you through the best part of a weekend. The affordable end of the market used to be about compromise. More and more, that's not the case: it's about great performance for the money. Nokia's big phone offers comparable specs to the Honor 8X, but running Android One, it comes with a clean install of Android, without the bloat and excesses that you'll find in EMUI. Honor on the other hand gives you more in the camera experience and a display that's a little better. The Nokia, however, is a little more expensive. The Honor Play is something of a Trojan Horse, arriving with a mid-range price, but with a similar hardware setup to the Honor 10. 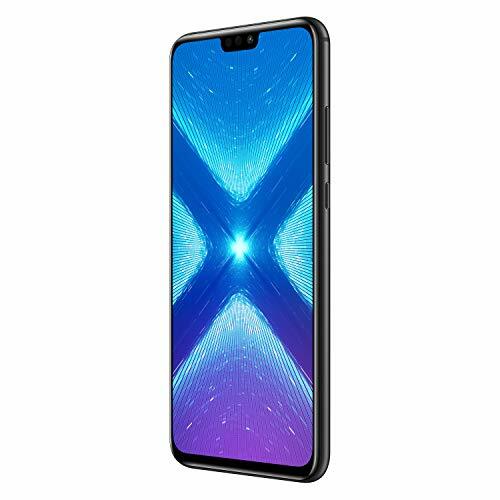 That means it offers flagship performance, notionally for gaming, but giving you a great handset that betters the Honor 8X in a number of areas. It's a little more expensive than the Honor 8X, but it's worth the stretch.